Make these easy khara biscuits from the puff pastry dough... a perfect tea time snack. 1. Cut the puff pastry dough into one inch by four, rectangular pieces. 2. 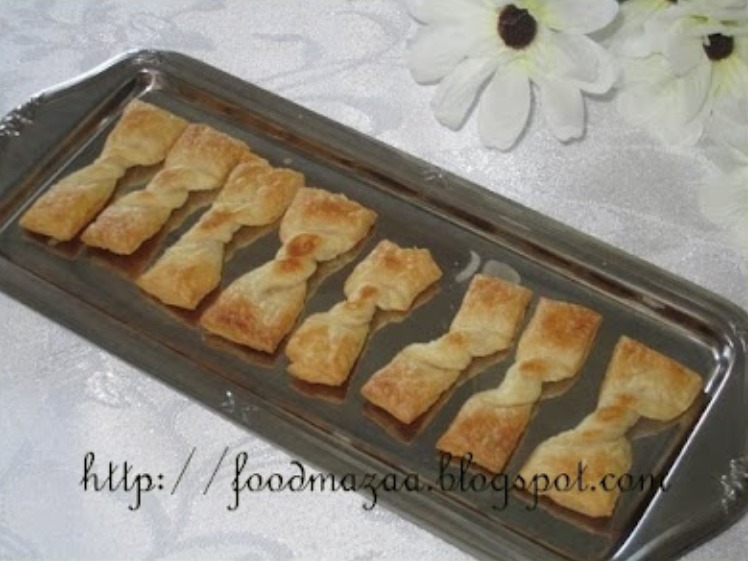 Twist them in the middle to give a bow-tie shape. 3. Place them on a greased baking tray. 4. Bake in a pre-heated oven for about 15-20 minutes on medium temperature, or until they become crisp. Its nice and awesome.Waiting for the homemade recipe. Delicious looking Puff biscuits looks too cute. Love the shape.. nice idea..
My favouritttteee accompaniments with tea - mm yummmmyyy!! Wonderful biscuits, love this goodies. Innovative idea to fold in middle and give the exact shape. Thanks for sharing. Lovely shape, damn cute biscuits. Everyone has noticed the same thing; Shape is making it very attractive. wow..yummy . Rush your delights for Fast Food Event - Noodles. looks perfect and interesting biscuit..will try it soon..
That is so easy to make! Thanks for sharing the recipe! Looks cute and yummy.....thank you! what a terrific and super tempting Recipe. Do show some love if you liked my recipe. Leave a comment here. 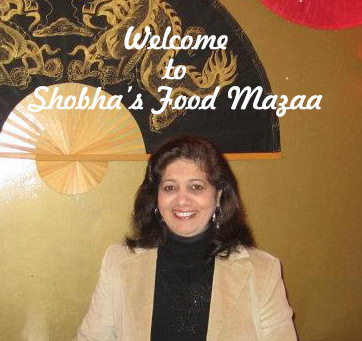 Follow Shobha's board Recipes from Food Mazaa on Pinterest.